Suriya’s Anjaan would be released next week (August 15th) and he has already started working in Masss directed by Venkat Prabhu. Recently he also flouted his production company called 2D Entertainment which began its first production venture under the direction of Pandiraj with Bindu Madhavi in the lead. Suriya may play a cameo in it but it is yet to be confirmed. Meanwhile, 2D Entertainment is ready with their next production venture which would be directed by Vikram Kumar who recently made Manam in Telugu with A Nageswara Rao, Nagarjuna and Naga Chaitanya. Tamil viewers may be familiar with him as he had made the supernatural thriller 13 B with Madhavan a few years back. As per the official tweet from 2D Entertainment, Suriya will play the lead role (as reported earlier) in this Vikram Kumar directorial and other details are expected very soon on this interesting project. Vijay and Suriya lead a big protest ! A legendary senior actor to join 'Vijay 58'? TN Box-office: How has Jigarthanda fared? Anjaan - Superb and Rocking ! Is Lakshmi Menon, Sivakarthikeyan's next heroine? Suriya - Samantha's Anjaan Trailer - Superb And Rocking ! Suriya Goes Through Lengths For Vidyut Jamwal In Anjaan? When Is Suriya's Masss Commencing? What Is The Connect Between Vijay's DoP And Suriya's Ayan? A Grand Birthday Bash For The Anjaan Star Suriya. Who All Attended It? What Is Suriya Doing After Venkat Prabhu's Masss? 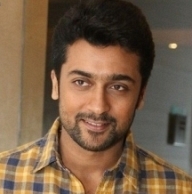 Suriya On A High With Two New Developments - Masss And Anjaan! Anjaan's Exclusive First Listen ! People looking for online information on 2D Entertainment, Manam, Masss, Suriya, Vikram Kumar will find this news story useful.